Cleveland Park is a bustling neighborhood located along Connecticut Avenue in the Northwest quadrant of Washington, D.C. Home to many prominent Washingtonians, Cleveland Park offers a number of historic homes along Porter, Ordway, and Macomb Streets built in the craftsman style. 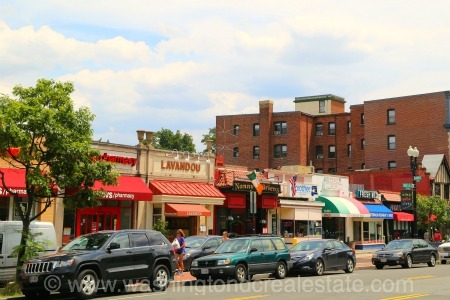 Cleveland Park also maintains a thriving commercial corridor with a number of dining and shopping options and the nationally recognized Uptown Theater. Residents liken the community named for President Grover Cleveland, who once owned a summer estate there, to an “in-town village.” The National Zoo and National Cathedral are just several blocks away. Cleveland Park has its own metro station on the Red Line and is also served by several bus routes and Zip Car Service. The neighborhood is bounded by Wisconsin and Idaho Avenues to the west, Rodman and Tilden Street to the north, Rock Creek Park to the east and Klingle and Woodley Roads to the south.